'Screen, anti-glare', stores reference 22c/836. 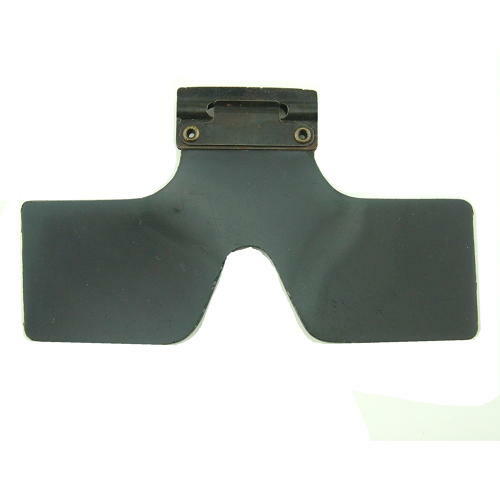 Rare original 'flipshield' for the MK.VII flying goggle. Minor distortion, some scratches and scuffs. Light surface corrosion on the metal bracket but in good '+' overall condition The acetate is in excellent condition. Some paint loss on the bracket. Beyond your budget? We have a reproduction available at the moment too. Stock code G17174.